The Pastor-Congregation Duet. By Gary Harder. Privately published by Friesen Press, 2018, 282 pages. 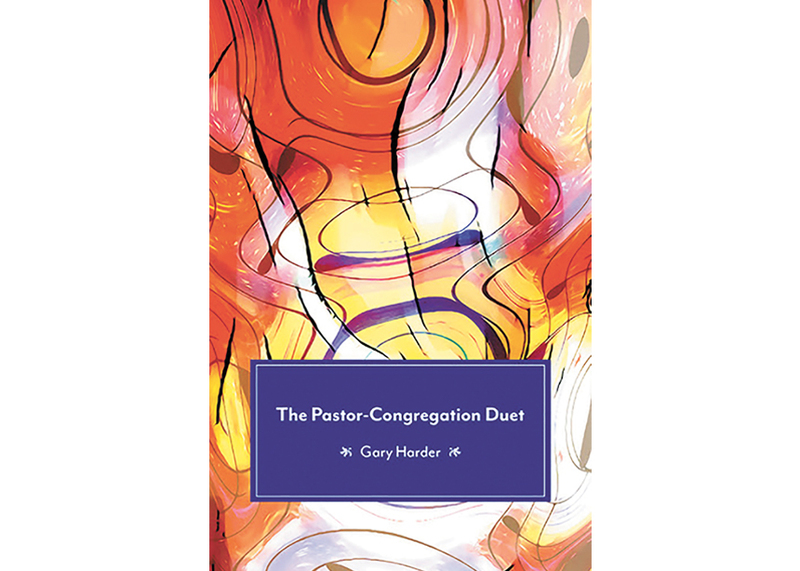 In this book, Harder sets out to review his pastoral journey in order to understand what was enjoyable, sustaining and life-giving. This book is steeped in deep gratitude for a journey in ministry that was not without its challenges, but that was deeply fulfilling for him. He reviews his ministry honestly, sharing vulnerably about his own struggles to recognize and own the part he played in those struggles. He lets us see his frailty and mistakes and invites us into the lessons he learned. He shares the times when situations do not end neatly, the messiness of relationships and human shortcomings remains, and God’s grace abounds. He also wrestles with what it means to be a pastoral leader, recognizing how the church and its understanding of, and expectations for, pastors changed during his years of ministry. We walk with him in his growing understanding of what that meant for him. Finally, he shares with us sermons, articles and prayers he used in his ministry. In these, we see his theology come to life for a particular gathering of God’s people in a particular time. The heart of ministry, and the heart of this book, is the relationship between pastor and congregation. This is the relationship that Harder tended and nurtured in his 50-plus years of ministry. Part 1 focuses on the congregation as duet partner. There are four chapters dedicated to the four stages of his ministry: early education and call, two congregations, and intentional interim experiences. In Part 2, he shares his journey to finding and claiming his own voice. He highlights the importance of physical and emotional well-being, sharing stories of golfing on Mondays and the place of music to nurture his spirit. There is a chapter dedicated to the rhythms of the marriage duet, in which he shares about his own journey of accepting his wife Lydia’s gifts for ministry, and of their partnership in ministry that evolved and grew as he grew more comfortable with his own pastoral voice and gifts. Part 3 examines the special occasions in congregational life: baptism, parent-child dedication, weddings and funerals. He shares a variety of stories in which we witness his growth, his vulnerability and ability to laugh at himself, and his ability to grapple theologically with situations that don’t fit the normal pattern. Part 4 looks at times when the music is discordant. Conflict is a normal part of any relationship, and no less true in the pastor-congregation relationship. He specifically looks at the Anabaptist theology of church and its implications for pastoral leadership. The foundational belief in the priesthood of all believers, into which every voice is welcomed and valued, creates challenges for a pastoral leader in finding her/his own voice. He shares stories of navigating those tensions, focusing on the role of the pastor in committee meetings being to help every voice find a place around the table. This is a book for pastors and congregations. Congregants will benefit from this honest look into life and ministry from a pastor’s perspective, and it could prompt them to consider how they would articulate the pastor-congregation relationship.